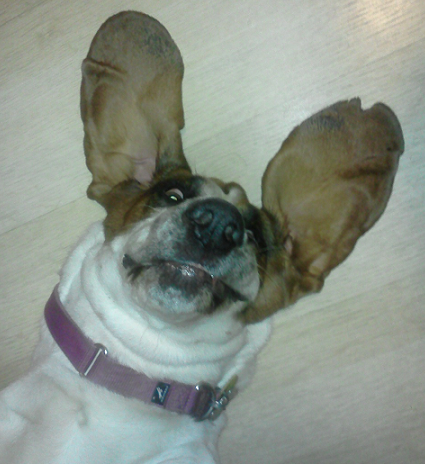 I adopted a basset hound this year. Her name is Rosie. We’ll celebrate two months together this week. I never thought my landlords (aka parents) would agree to let me get a pet, and I was shocked when they said “Yes” after two years of prodding. 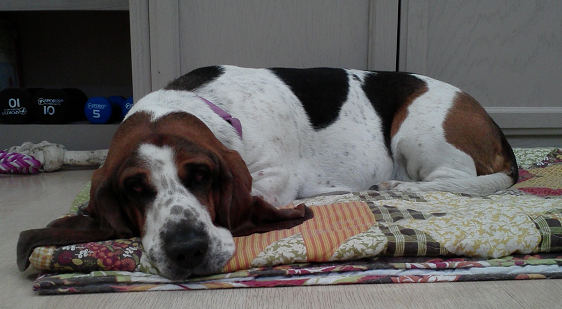 I adopted Rosie from the Arizona Basset Hound Rescue. After I passed my interview and my home inspection, they started sending me picture of prospective dogs, and to be honest, I wasn’t that enthused by Rosie when I first saw her. Her head looked too small for her body in her picture but she was the right age (four years old) and her foster parents lived close by so I agreed to do a meet and greet. I knew within minutes of seeing her that she was my dog. I was so nervous about becoming responsible for another life. I had never owned a dog that I was solely responsible for. I’m so grateful to my friends who have dogs and the clerks at PetSmart for helping me make sure I had everything Rosie would need. Rosie’s had mostly a good life from what I was told. Her first owner took excellent care of her for about four years but then his job situation changed and he didn’t think it was fair to be away from home for as long as his job required. He supposedly thought he lined up a good home for her, but she ended up with someone who neglected her. Her nails looked like they were never trimmed so they got way too long and curved under her paws. Thank goodness she ended up at the basset rescue after only a few months in that situation. Rosie is the sweetest dog you’ll ever meet. She has the cutest face and she is a total attention whore. We go walking twice a day and she has become one of the darlings of the neighborhood. She’s mostly mellow and well-behaved. We usually play with her ball every day. Sometimes I roll it and she retrieves it and sometimes I roll it at her and she acts like a goalie. Sometimes she likes to throw the ball for herself and chase after it. It’s so cute. When I first met Rosie, I tried to make her howl but nothing worked. I mainly wanted to make sure that she wouldn’t howl when I sang. After I had her for a few weeks, I learned that the only thing that makes her howl is the sound of a ringing telephone. It makes me laugh every time she does it. Sometimes I look at Rosie and it’s so surreal that I have her. Having a dog that sleeps at my feet in my office was part of my master plan for my law firm. We’re still working the kinks out of our relationship. She’s not always excited about meal time or walking at my desired pace, but I really couldn’t ask for a better dog.